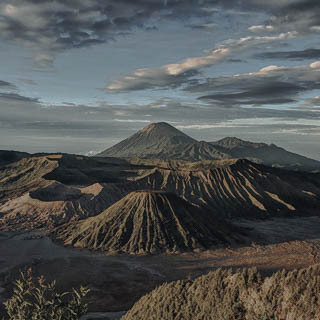 Bromo Tour Package and Batu Malang 3 Days 2 Nights is an ideal getaway for families or colleagues. Visits to Bromo and Tourism Stone of Surabaya require travel time of about 3 hours drive to get to the area of Mount Bromo. Combined both these tour packages, the day the demand is increasing rapidly. In addition to the grandeur of the scenery Bromo, tourists may also curious about the cool air and increase existing attractions in Batu. Pick up by our driver with a private car from the station or the airport to the tourist area of Batu. Been to Java Park2 and Niagara Cuban Rondo. Night around 19.00 in between travel to BNS (Batu Night Spectacular). Breakfash at the hotel, as well as getting to check out heading into the next tour is tour Pick Apel and Flower Garden Selecta. Bromo Sunrise Tour will start around 03.00 am, and will be in the wake by the hotel concierge to get to get to Penanjakan to see Bromo Sunrise by driving a Jeep / hardtop. After that, still with Jeep will be brought down to the sea of sand precisely in the parking Jeep to go to Bromo crater, from parking the jeep to the crater approximately within 2km trekking or you can rent a horse to get to the crater which totaled 250 ladder rungs. Once this is done, you will be escorted by our driver headed to the airport or Station in Surabaya and Malang.